It is our goal to help our patients achieve beautiful smiles and at the same time promote general well-being. Smile in Style practices both mercury-free and mercury safe dentistry. 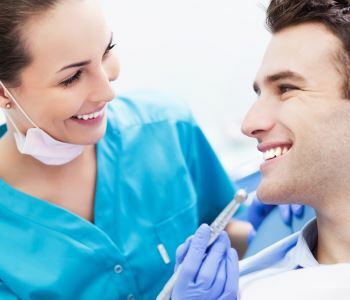 In our offices, with locations in Moonee Ponds and in Sunbury, patients can count on our techniques, using only materials that offer long lasting restorations with far fewer harmful side effects than amalgam. Mercury is a neurotoxin, meaning that it directly impacts the nervous system. Due to its harmful effects, the use of amalgam in dental filling material has been banned in several countries. However, some dental associations continue to support the use of dental amalgam. The American Dental Association for example has patents on Amalgam. The classification as a neurotoxin means that mercury is poisonous to the human body, which is just one reason why we believe mercury has no place in our practice. According to the World Health Organization anything more than 1.6 micrograms/kg of weight is dangerous to health. A single amalgam filling weighs about 2 grams, half of which is mercury. This adds up to 1 gram of mercury per filling. That is 1 million micrograms! The mercury within dental fillings is not dormant, which is why amalgam is so dangerous. Every time we chew or consume warm foods or liquids, mercury is released in the form of vapours, which are sent right to our lungs. From the lungs there is easy entry into other organs via the bloodstream. Ongoing exposure to mercury significantly increases the chances for serious health conditions. This toxic substance has been associated with heart disease, chronic fatigue, depression, lowered immunity, and Alzheimer’s disease, among dozens of other conditions. The health and safety of our patients is our primary focus. Smile in Style offices do not place amalgam restorations. We also follow a very strict protocol for the removal of these restorations as directed by the International Academy of Oral Medicine and Toxicology. This protocol successfully decreases the level of exposure during the removal process, keeping our patients, our staff, and our environment safer. Contact Smile in Style for effective, holistic dental care.